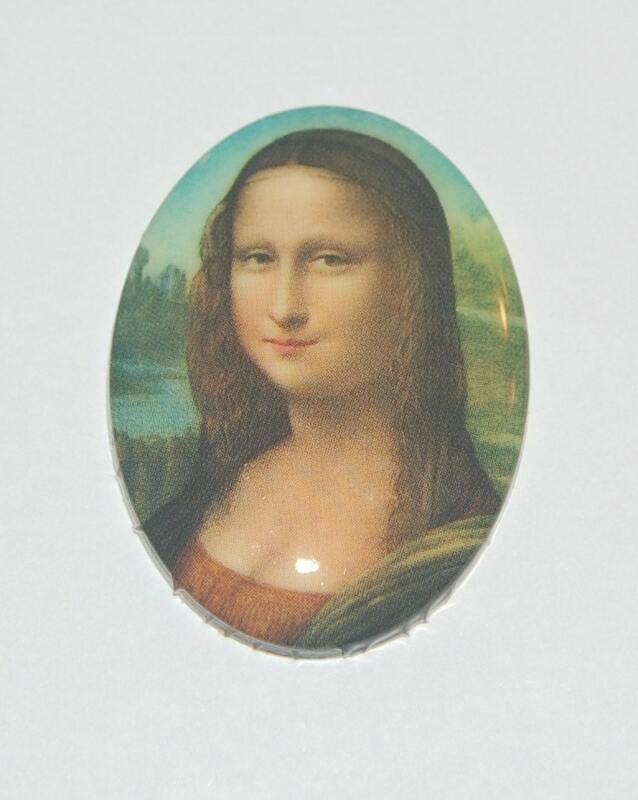 This a great vintage cameo featuring the classic portrait of Mona Lisa. This measure 40mm x 30mm. You will receive one of these. The colors in person will be richer than my photo shows. Fun for a beautiful hair clip.